So many choices! Have you seen these at the drugstore? 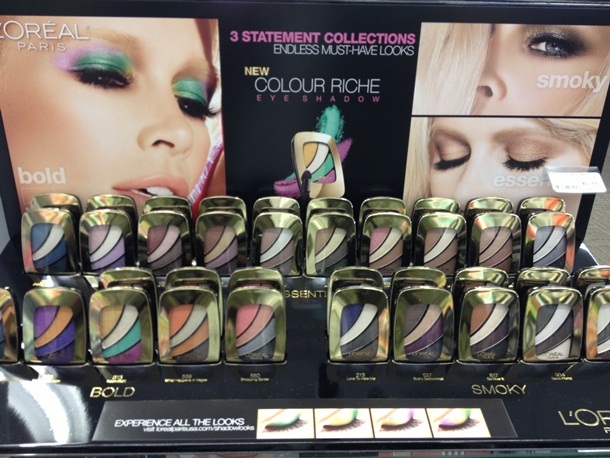 When I saw the display for L’oreal’s newest quads I was so excited. I was hoping that with all of the color choices I’d find some great shadows. There are some great options for going out and for work. I decided to go with the brightest quad that was calling my name Neon Skirt and the best subtle option thats work friendly So Over It! I really like these quads when compared to past L’oreal shadow formulations. I could drag this out and tell you a lot of stuff but let me just tell you this. 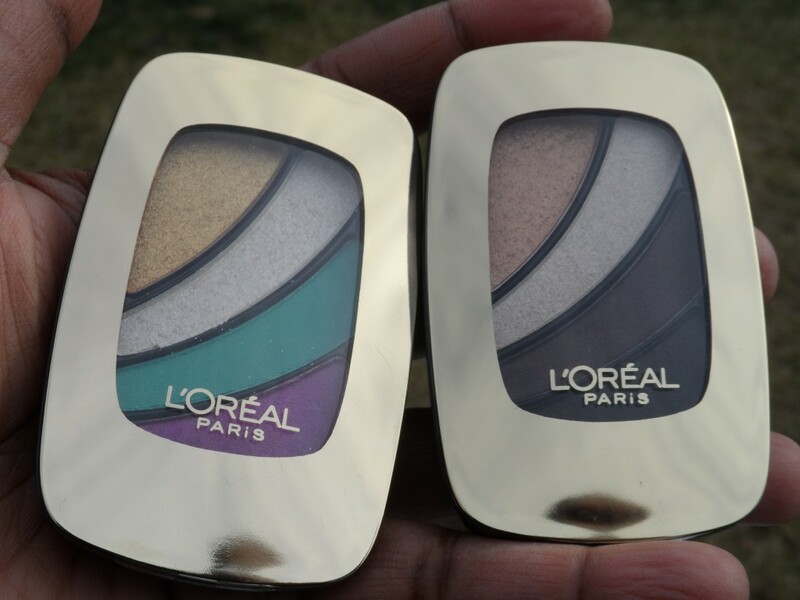 I have never really loved L’oreal shadows (except the Hip Duo’s) but I do like these! The colors are fantastically pigmented. I do think some of the shades have a little more shimmer than I’d like. I also think that some of the shades can also be a little soft but as long as your not really digging into the shadows you will be fine. A light touch works best. I made sure to do my eye makeup first before applying foundation because cleaning up under your eyes is a must after using both of these quads. 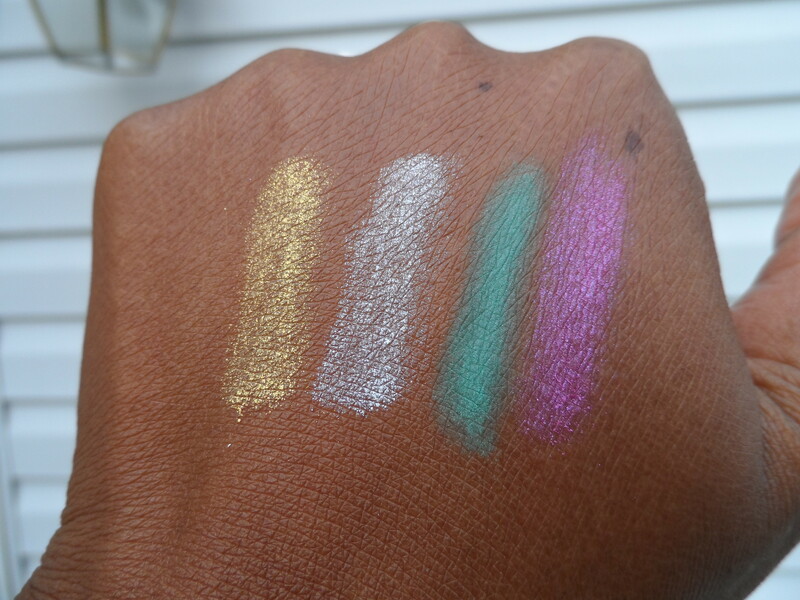 Here are some swatches! Click on a picture if you’d like to blow it up for a closer look. I thought Neon Skirt would be my favorite of the two quads I purchased. But I must say that So Over It! is the one I’m in love with. 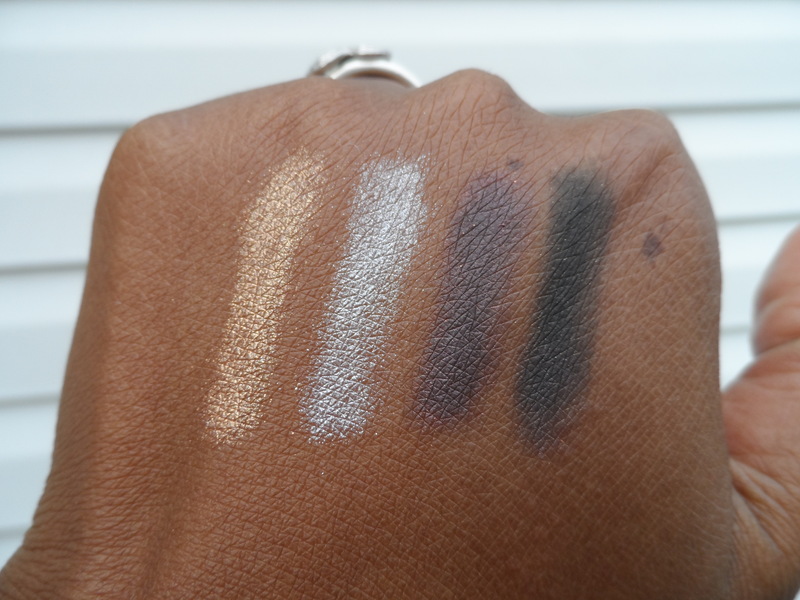 This is a perfect quad for really pretty darker eye looks. I am in love with the deeper third shade in the quad and the black and gold aren’t bad either. I think I fell in love because of how many things you can do with the So Over It! quad. 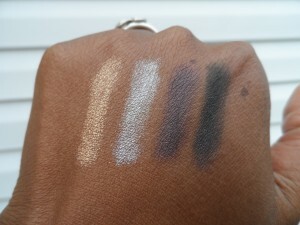 I think investing in at least one of these new eyeshadow quads isn’t a bad thing. At under $10 I think these are a decent buy. Just pick a quad of colors that really speaks to you and you’ll be happy. So Over It! is the one for me. Please let us all know if you’ve grabbed one of these quads. I’d love to know your thoughts. They have done a good job with the colors! I snapped up the “So over it” quad today and I absolutely LOVE it!!! 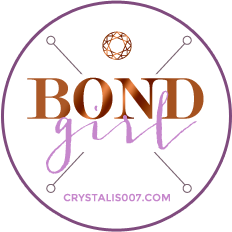 you can wear them very neutral or really smokey and the best thing too, is that the compact is so compact and flat, it fits easily into a small makeup bag!! It’ is really small and easy to carry with you. Some people aren’t fans of the packaging but I actually really like it! I grabbed 4 of the new gloss stains too, and love them, in fact the swatches stained my hand, ha ha!! Lorea’l is coming out with some awesome stuff!! the gloss stains are the same formula as the YSL ones.